Our open events are designed to give you a flavour of what it is like to be part of the Freemen’s community with plenty of opportunity to meet and chat to our staff and pupils. Our Admissions Team will also always be available to answer any questions you may have about joining Freemen’s. We have tried to arrange our events throughout the year, so that they are not only at a time to suit you, but also offer you and your child a variety of experiences. 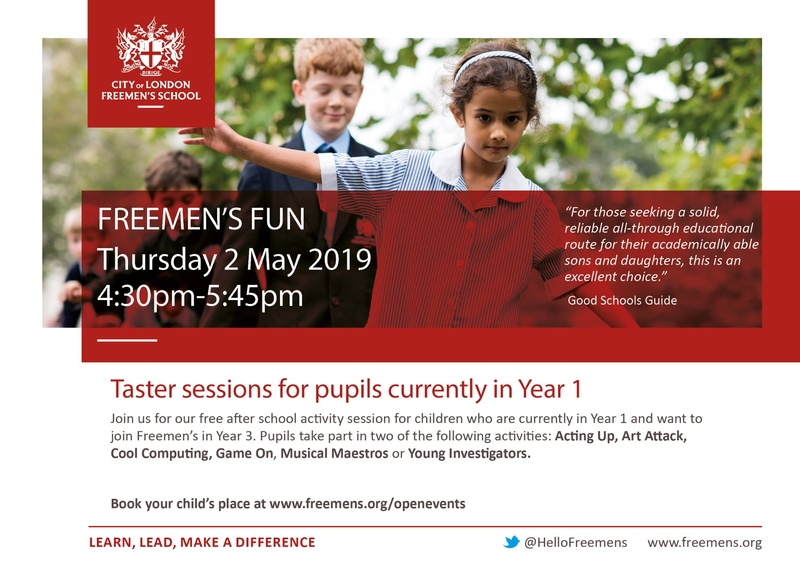 Twice a year, we will invite current Year 1 or Year 2 students in for Freemen’s Fun: an afternoon of activities specifically designed for your child to discover Freemen’s for themselves. These events get booked up quickly, so please book early to avoid disappointment. We do our utmost to allocate children to their first two choices, but places will be allocated on a first come first served basis so it is advisable to choose a third activity in reserve. Each activity lasts approximately 30 minutes and parents and siblings are welcome to stay and enjoy refreshments in our Sixth Form Centre, whilst their children are enjoying the fun. 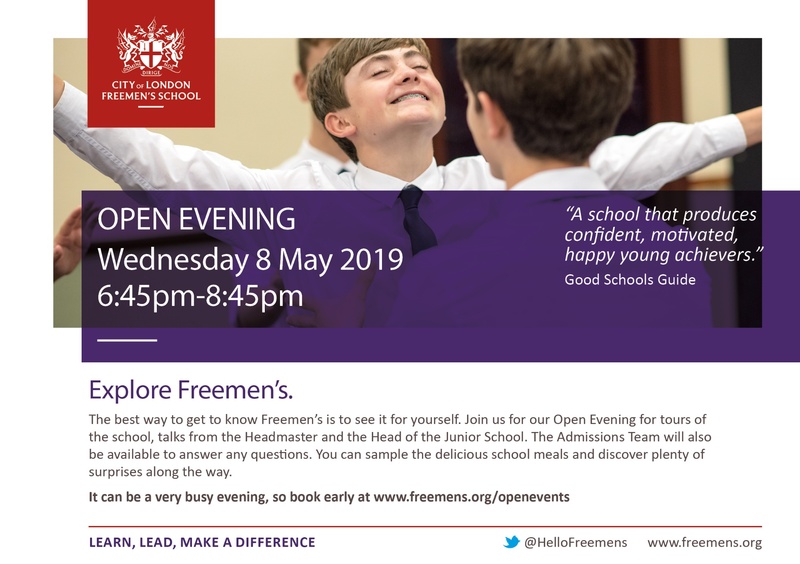 The Admissions team will be on hand to answer any questions about the admissions process and current parents from our Freemen's School Association will be available to chat about what the school community has to offer. Places are limited, so booking is essential. Places can be reserved by completing the form below. On booking, we will contact you again closer to the event with final details. I / We agree to you keeping in touch about admissions-related information (future deadlines and admissions events) and news about, and activities on offer from City of London Freemen’s School via email. * Yes No I have already given consent on a previous form. Explore Freemen’s for yourselves with our unique Open Evening. We will give you a map and then you let loose on the campus to see the bits of the school that you want to see in your own time and at your own pace. We will then meet you for a drink and bite to eat in our Freemen’s café at the end to answer any questions you may have. Do you need one last look at Freemen's before sending back your acceptance form? Join us for a coffee, a chance to chat with staff and have a final tour of the school. A booking form for this event will be available once the 2020 offers have been made. Join us for a morning or afternoon of fun activities to discover what Freemen's is really like. This day is specifically designed for current Year 5 students who want to join Freemen's in Year 7. We have a maximum of 20 places in the morning and 20 places in the afternoon. We will run a waiting list too. Places will be allocated on a first come first served basis.